Talakaveri is famed as a mountain region with the original source of famous river Cauvery and hence the name Tala-Cauvery (head of Cauvery). 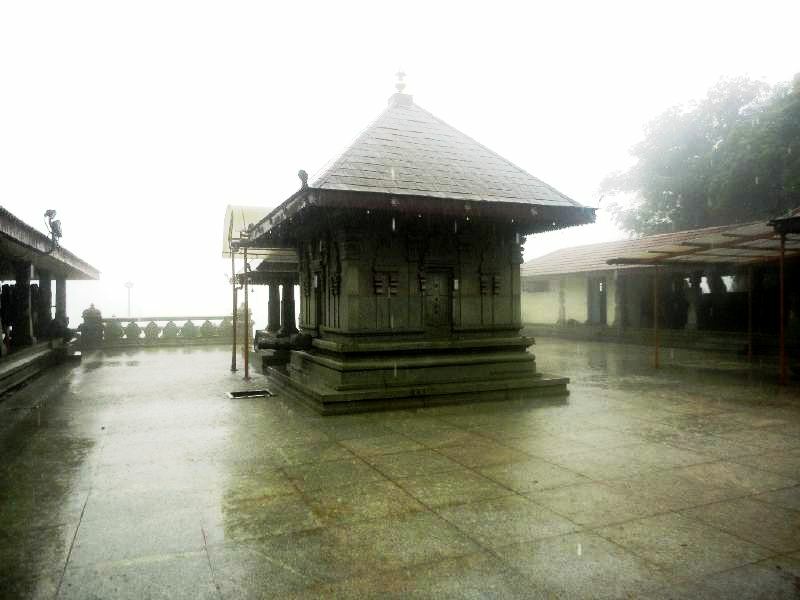 A trip to Coorg is never quite complete without a trip till Talakaveri. While the beautiful landscape of Coorg and the sprawling coffee plantations evoke much awe in the tourists, a trip to Talakaveri is quite the cherry on the icing, for those particularly spiritually inclined. 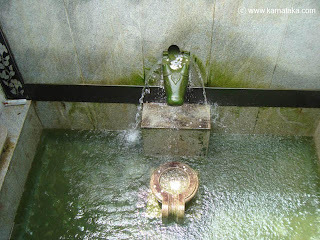 Talakaveri is supposed to hold great religious importance and there is a holy Kundike from where the river emerges as a small perennial spring and then flows underground again to emerge a short distance away. It is believed that taking bath in Talakaveri is very sacred and it can relieve the man form all his sufferings. Bhagamandala, Shiva Temples, Goddess Cauveri Amma Temple and Talakaveri wildlife sanctuary are some of the places to see in Talakaveri. Bangalore is 278 kms from Talakaveri. Talakaveri is about 44 kms from Madikeri. Talakaveri too has many popular legends associated with it. According to the legend Agasthya had Cauvery in his kamandalam. Ganesha took the form of a crow and toppled the water. He then quickly reverted back to a small boy. The sage thought it was some naughty kid who was playing a prank on him. In his rage he tried to strike Lord Ganesha. When the lord showed himself the sage was bewildered. As repentance, he knocked his own head. The Kadambaas, The Gangas, the Changalvas, Hoysalas and the Vijayanagar Empire, The Wodeyars, Kings of Mysore and British are some of the dynasties that ruled this place. Known to be the source of river Cauvery, the place of Talakaveri became a famous pilgrimage centre for temples. Mayura Varma, Venkappayya, Lingaraja, Edurkala K Shankara Narayana Bhat, Parltaya Anantha Bhat, Nanja Raja, Piriya Raja, Muddu Raja, Linga Raja, Vira Raja, Tipu Sultan and King Dodda Vira Rajendra are some of the famous people associated with this place. Wear pommale* Kodagu as a garland, O Mother! Why do you need a jommale**? Why do you need a garland of flowers? Wear the golden land of Kodagu as a garland, O Mother! You flowed from the kundike*** to the Eastern sea. You are merely flowing water. But to the suffering, you are sorrow-relieving holy water. And those weary with suffering, bless and care for them, O Mother!